TALLAHASSEE, Fla. – Florida State volleyball head coach Chris Poole announced the addition of seven players to the 2018 roster on Friday (March 23). 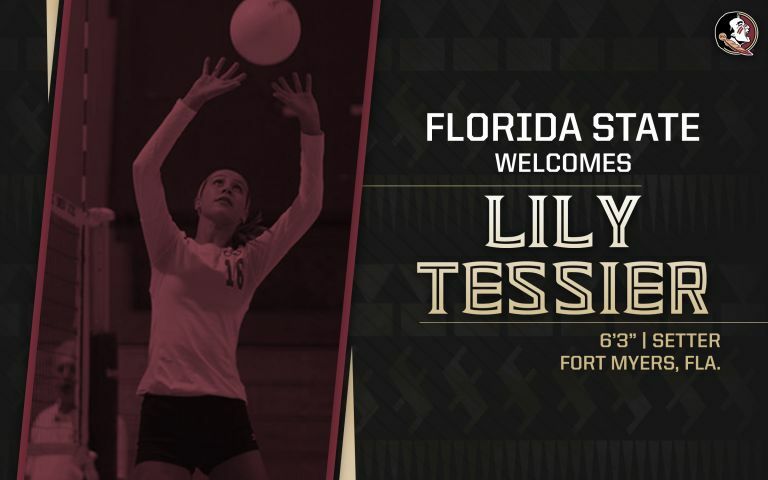 The Seminoles will bring in four freshmen, including outside hitter Morgan Chacon, setter Lily Tessier and liberos Taylor Roberts and Alyssa Collins. Poole also added three transfers to help bolster the roster, as libero Kelsey Wicinski, outside hitter Payton Caffrey and middle blocker Ashley Murray will all join the Seminoles in 2018. The incoming class will help fill positions that the Seminoles lost following the 2017 season, as Cecilie Woie, Milica Kubura and Natasha Calkins graduated following the team’s ninth-straight NCAA Tournament appearance. While the leaders in the ACC – Pittsburgh, Miami and NC State – led the conference in offensive statistics, FSU is looking to move ahead of the pack by bringing in two of the nation’s top offensive-performing transfers and a six-rotation freshman. Caffrey, Chacon, Roberts and Wicinski will all play for the Seminoles this semester as the team competes in a series of nine scrimmages. The team begins its spring slate on Friday (March 23) against the Florida Gators in its only home match of the season. “Morgan is an amazing athlete and has tremendous ball control and passing skills. Although she is only about 5’11”, she has a very dynamic jump and great vision on the court. Morgan is recovering from an injury that occurred in the first set of the STATE Volleyball Finals in November, but she is on track toward a full recovery.” – Coach Poole. Coming off a stellar high school career and four consecutive Class 1A State titles, Taylor Roberts came to from Sneads, Fla. Roberts was a crucial part of a historic run at Sneads High School, where they are currently tied for the third longest championship run in FHSAA history. Roberts’ senior class never lost a set to a 1A team, and only saw 22 losses in four years. She finished her career with 1,126 digs, a .266 hit percentage, and 348 aces paired with a 22.3 ace percentage. Roberts picked up a number of individual awards as well, as she was named Player of the Match 14 times in her four years at Sneads. Prior to high school, Roberts competed in the 2013 USA High Performance Championship as a member of Team Florida. As a sophomore, she was named to the 2015 USA Volleyball A-I National Team. 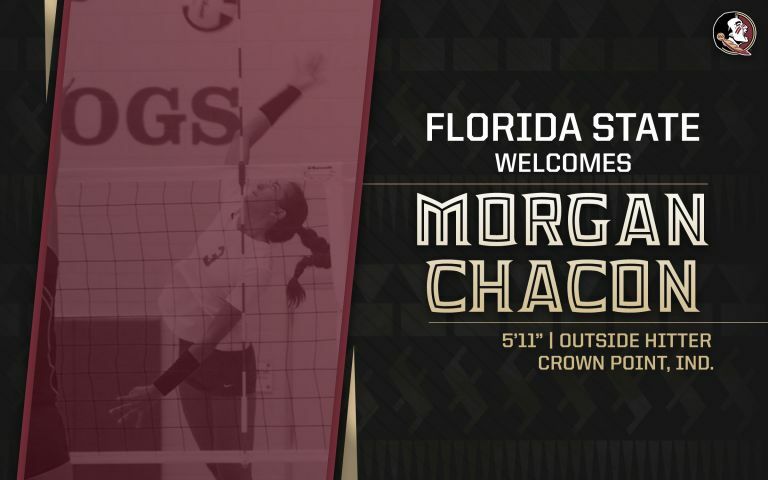 She was named to the AVCA Phenom list in 2016, alongside FSU classmate Morgan Chacon. Roberts also received an Under Armour All-American honorable mention in her final season. Roberts comes from a long bloodline of volleyball players, as her mother, Sheila Roberts, led Sneads High School to five state championships as head coach, and will now coach for Florida High while maintaining her position as the co-director for ProStyle Volleyball Academy. Taylor Roberts follows right behind her older sister, Ashlyn, who also played for Sneads and currently plays for South Alabama. 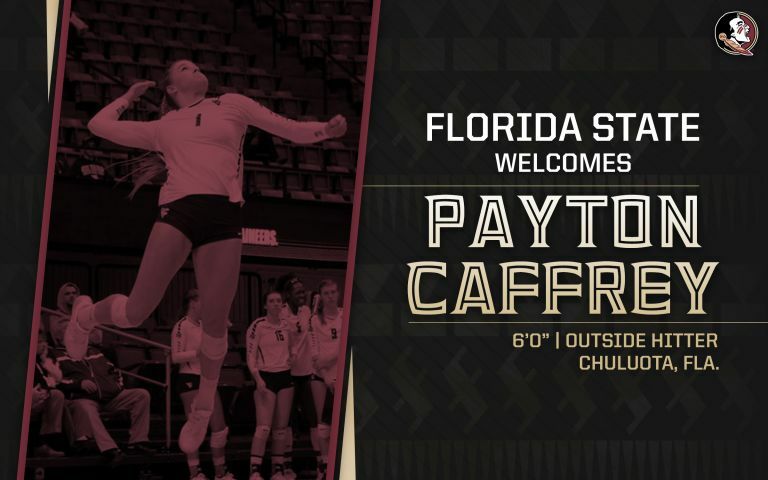 “Taylor grew up a big Florida State Volleyball fan and graduated as one of the best liberos in the nation. She has great work ethic, quick on the court and very competitive. She is fearless digging and keeping the ball alive. Taylor is very coachable and has already made great strides this spring at Florida State as an early high school graduate.” – Coach Poole. 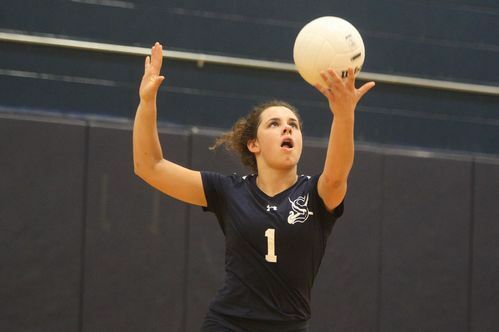 “Lily has been a very successful setter in south Florida. As a young player, she spent time playing up on older teams. 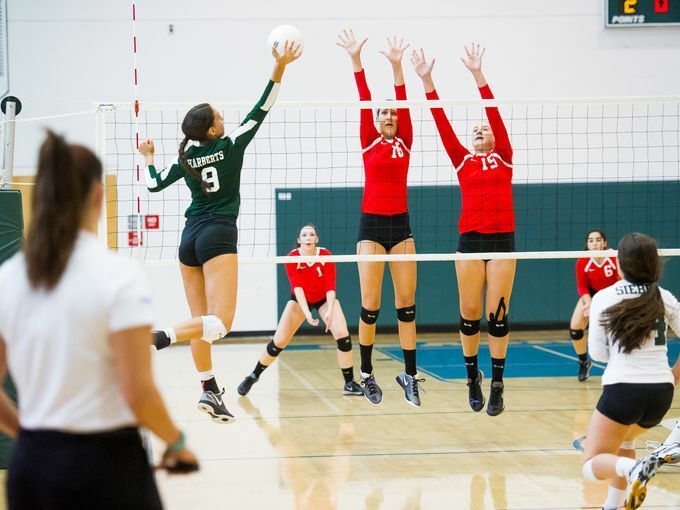 At 6’3″ she is unique as a tall setter and has great instincts running an offense. Lily also grew up a big Florida State fan and we are fortunate that she chose to stay in state.” – Coach Poole. 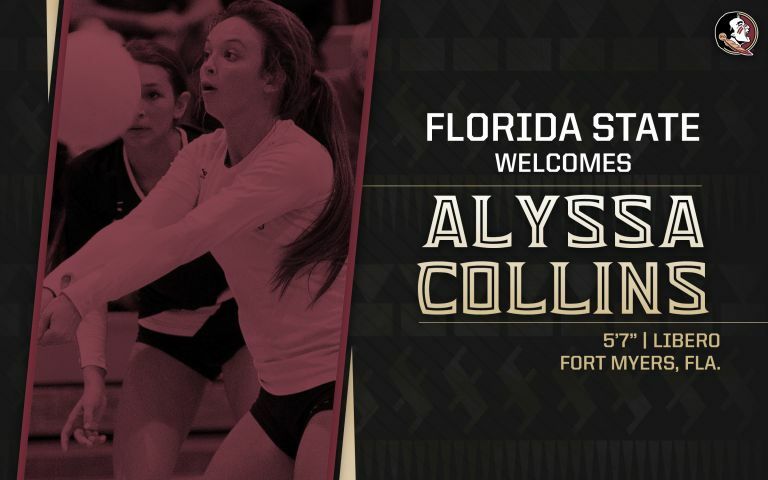 The 2017 District 18 Volleyball Player of the Year, Alyssa Collins comes to Tallahassee from Fort Myers, Fla. for the 2018 season. 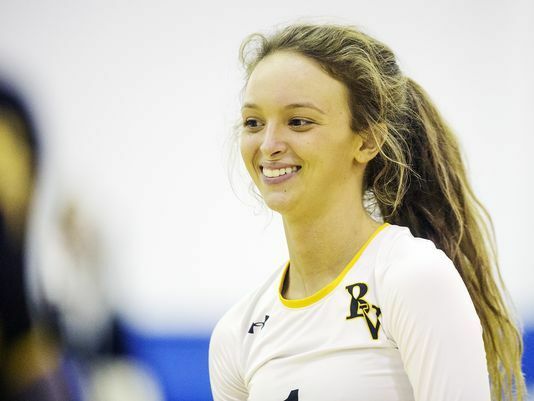 At Bishop Verot High School, Collins recorded 893 digs, a .255 hitting percentage, and 188 aces, averaging 20.4 ace percentage with 188 total over the span of her four-year career. Collins was named to the 2015 News-Press All-Area Volleyball Second Team as a sophomore, alongside fellow incoming freshman Lily Tessier. She earned 14 MaxPreps Player of the Match awards throughout her high school campaign and was selected to play in the FACA All-Star Classic on Nov. 18 and 19th following her senior season. “Alyssa attended the same high school as former FSU star libero, Katie Mosher. Alyssa grew up a big Florida State fan and will help add depth in our passing and defense as a libero/defensive specialist. She is very quick on the court and has a very competitive nature.” – Coach Poole. 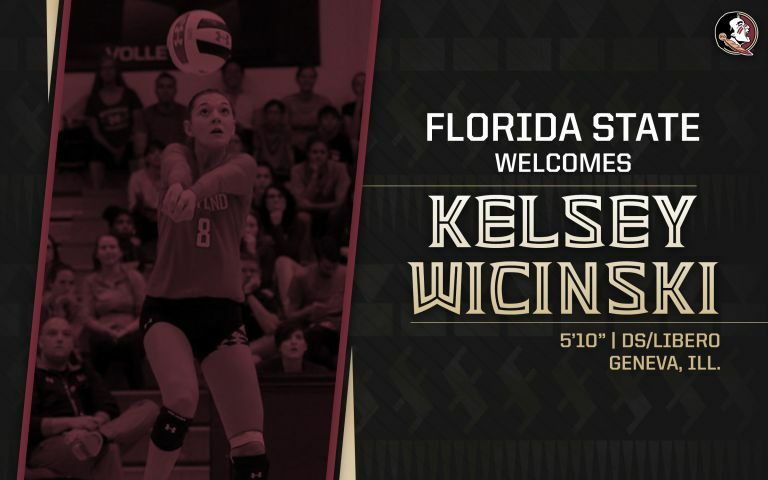 One of three transfers for the Seminoles 2018 squad, Wicinski comes to Florida State from Maryland. The Geneva, Illinois native made a huge impact in the Terrapin’s defense over the last three seasons. As a junior in 2017, was named to the All-Tournament teams at the Maryland Challenge and Liberty Invitational. Wicinski picked up 301 digs and 75 assists, totaling six matches with at least 20 digs. Prior to an injury, she was averaging 4.78 digs per set, which led the Big 10 at the time. As a sophomore in 2016, Wicinski led the team and ranked third in the Big Ten with 4.22 digs per set. Her dominance in the preseason led her to a 2016 Maryland Invite MVP nod alongside three All-Tournament Team honors. 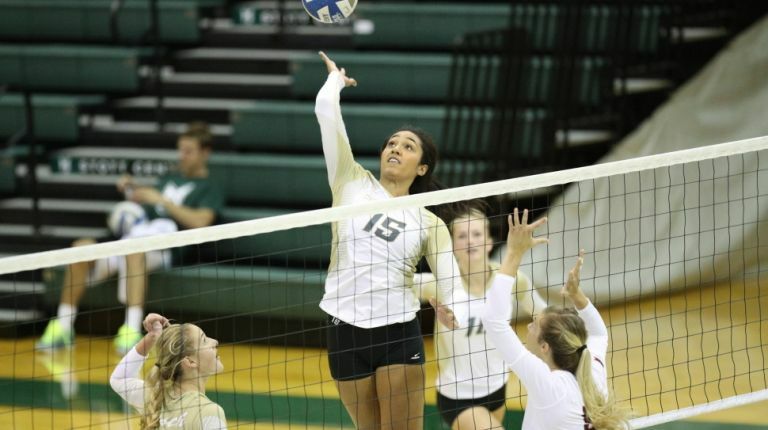 She earned 20+ digs against a ranked opponent three times in her sophomore campaign, and finished the season with 481 digs, 117 assists, and 27 aces. 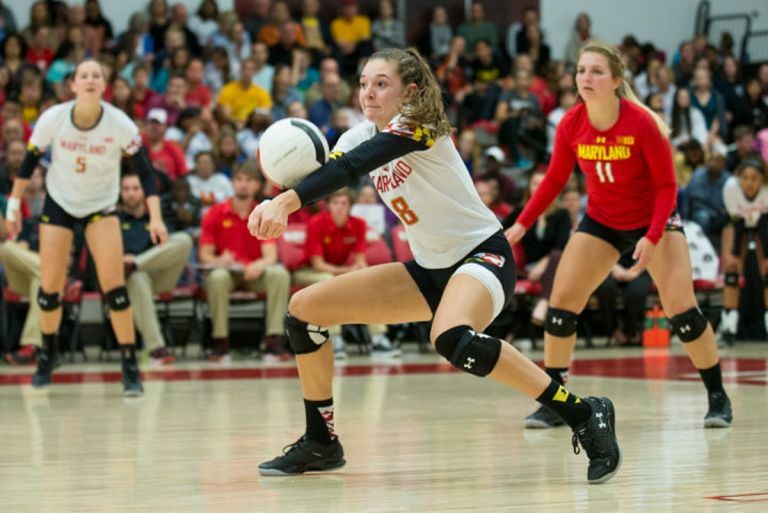 In her freshman campaign, Wicinski played in all 33 matches, starting twice and making 17 appearances as a libero for the Terrapins, posting 20+ digs in three matches. As a four-year letterwinner at Geneva High School, Wicinski set the single-season (815) and single-game (49) digs records. She was a three-time Defensive Player of the Year (2012-14) and two-time MVP (2013, 14). 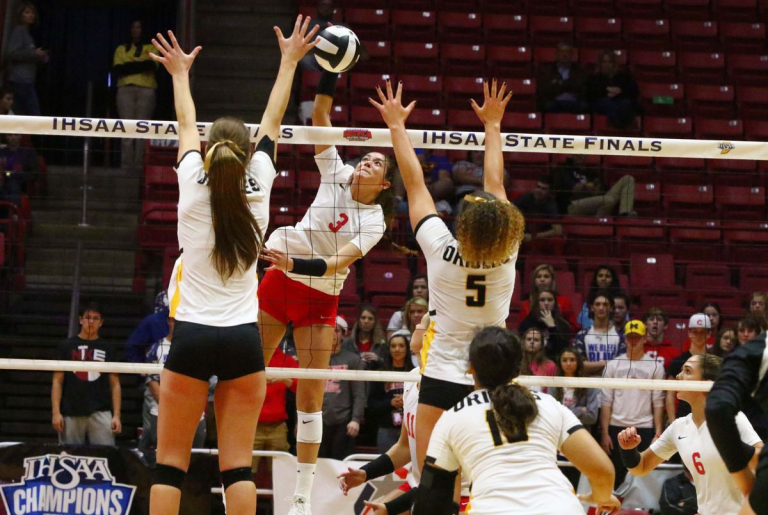 “Kelsey has been one of the top liberos in the Big Ten the last three years. We are very fortunate that she chose to come south and play at Florida State for her senior year. Kelsey is very athletic, quick to the ball and her experience in passing and serve receive will be a big impact to our program after we lost our top three passers from the 2017 season.” – Coach Poole. A transfer from West Virginia, Payton Caffrey comes to the Seminoles looking to fill a vacant outside hitter position. 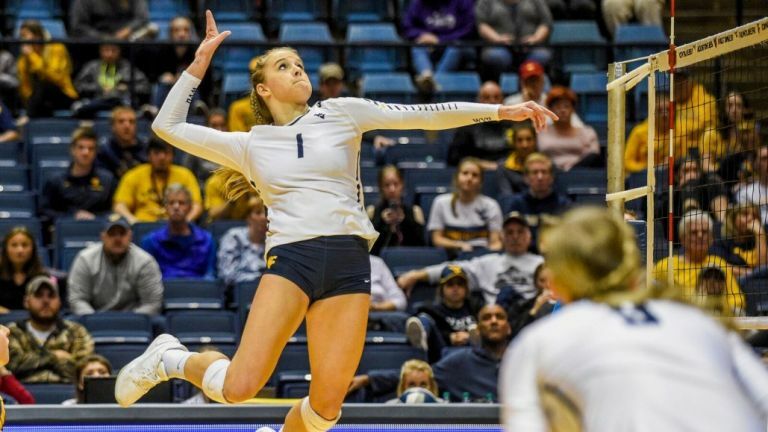 The Chuluota native returns to Florida for her junior season after leading the Mountaineers with kills (3.62 per set) and aces (57), while hitting at a .226 clip, leading to her second All-Big 12 First Team honor. Caffrey led the offense in West Virginia’s first Top 25 win in program history, hitting .308 with a season-best 28 kills to help the Mountaineers take down No. 14 Kansas in 2017. As a freshman (2016), Caffrey emerged as the Mountaineer’s primary outside hitter, finishing her successful rookie campaign with a team-best 4.44 kills per set (515 total) and 30 aces. She ranked second in the Big-12 in both kills (515) and points per set (4.42), leading her to an AVCA Midwest Freshman of the Year honor, a first for West Virginia. She was also named the WVU Athletics Rookie of the Year and the WVU Volleyball Offensive MVP. She was consistently recognized as one of the conference’s top players, securing Five Big-12 Freshman of the Week honors, and was named to the Big-12 All-Conference First Team and the Big-12 All-Freshman Team at the end of the season. A four-year starter at Winter Springs High School, Caffrey set central Florida’s all-time kills record as a senior in 2015. She was a two-time All-Central Florida First Team honoree, and started as an outside hitter for Team Florida in the Select National Champions HP Nationals. “Payton has been one of the top outside hitters in the Big 12 and nationally the last two years. From Orlando, she wanted to get back closer to home and we expect her to make an immediate impact in our program after losing two of our top hitters in Milica and Natasha. Payton can score points in a variety of ways. She has a great jump serve, hits well out of the back row and has been a big hitter from the left front position over the last two years.” – Coach Poole. The Seminoles’ third transfer for the 2018 season, Ashley Murray comes to FSU from Long Beach State. As an All-Big West First Team selection in 2016, Murray ranked in the top-5 on the team in a number of statistical categories every season. After a breakout season in 2014 that led her to a Big West Freshman of the Year nod, Murray went on to earn a career-high 17 kills and 39 attacks in her junior season. In her sophomore season, she hit .319 with 2.67 kills per set and 0.71 blocks per set, ranking second on the team in all three categories. She set a number of career high records in her freshman season that have not yet been broken, including a .846 attack percentage (11-0-13) and 11 total blocks. Prior to college, Murray was named First Team All-League following her senior season with Bishop Montgomery High School in Los Angeles, Calif. She was named a PrepVolleyball “Senior Ace” and was named to the Daily Breeze’s All-Area second team, and helped the Knights reach the second round of the CIF-Southern Section playoffs as a senior and the semifinals as a junior. “Ashley has been one of the top middles on the west coast during her first three years of eligibility. She was forced to redshirt her senior year because of an injury and will graduate this spring with her degree. She will attend Florida State for graduate school and we expect her athleticism and experience in the middle and right side attacking to make an impact for our program.” – Coach Poole.